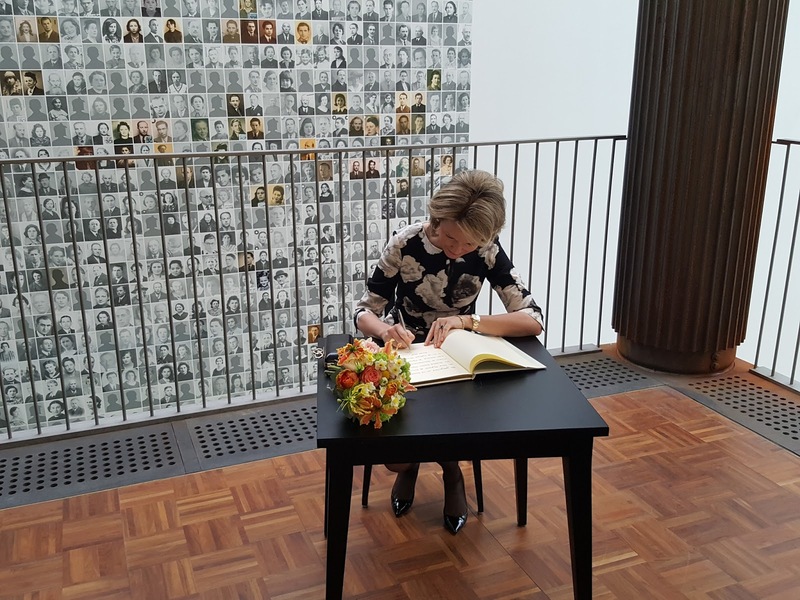 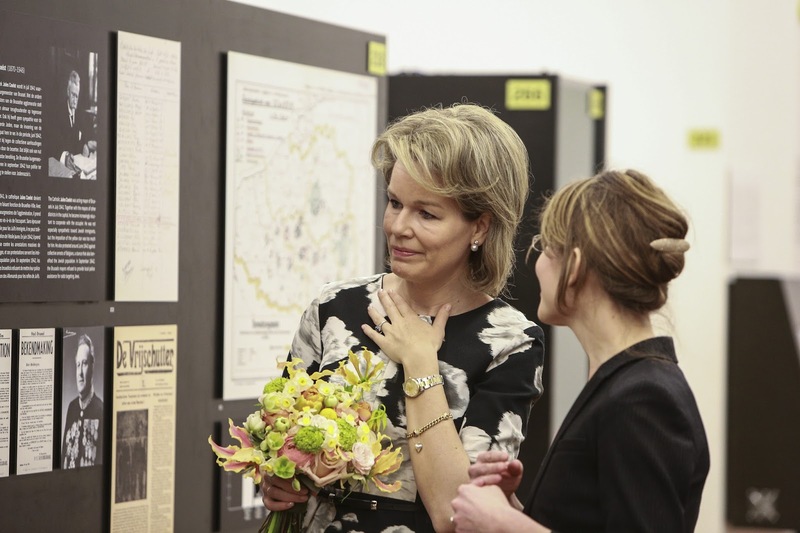 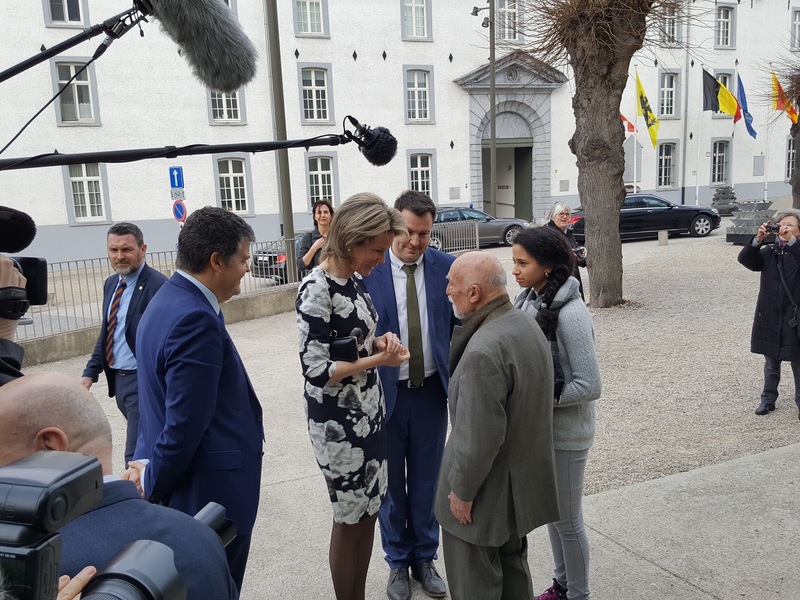 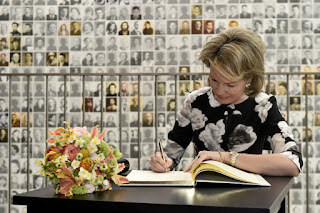 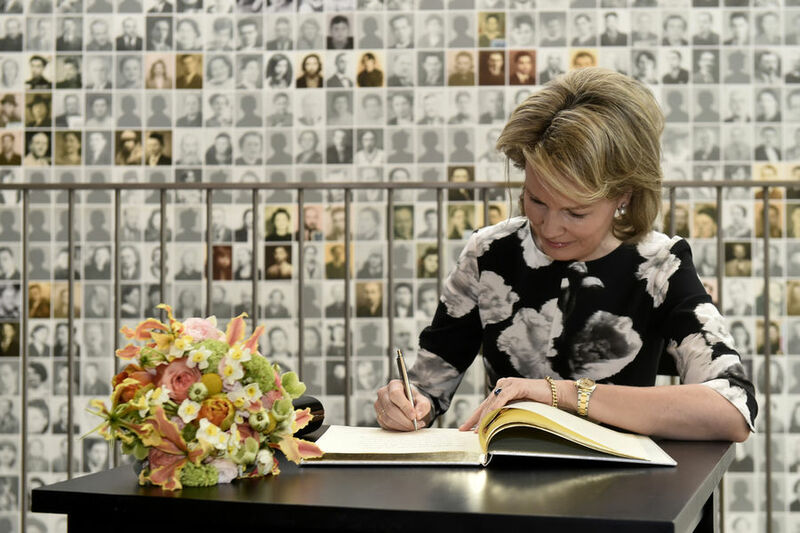 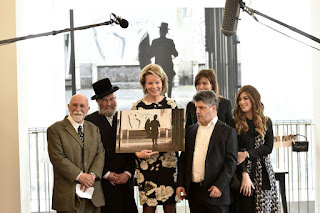 Queen Mathilde visited the Kazerne Dossin Memorial in Mechelen. 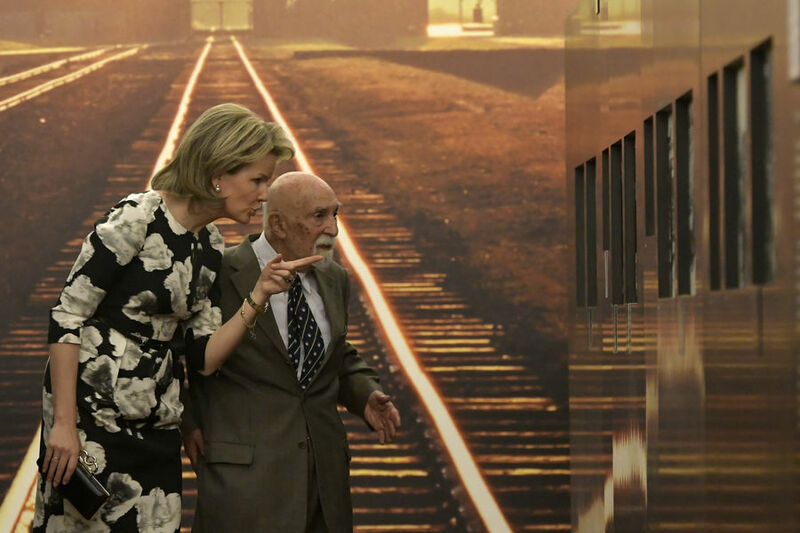 From these barracks, (Belgian) Jews and gypsies were transported to be killed in Auschwitz. Today it's a memorial, museum and documentation centre on the holocaust and human rights. 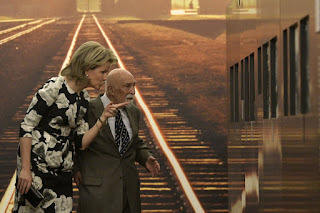 Mathilde was accompanied by Simon Gronowski, who was able to escape during a restistance raid on one of the transports, on the 19th of April 1943. 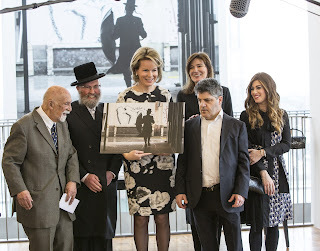 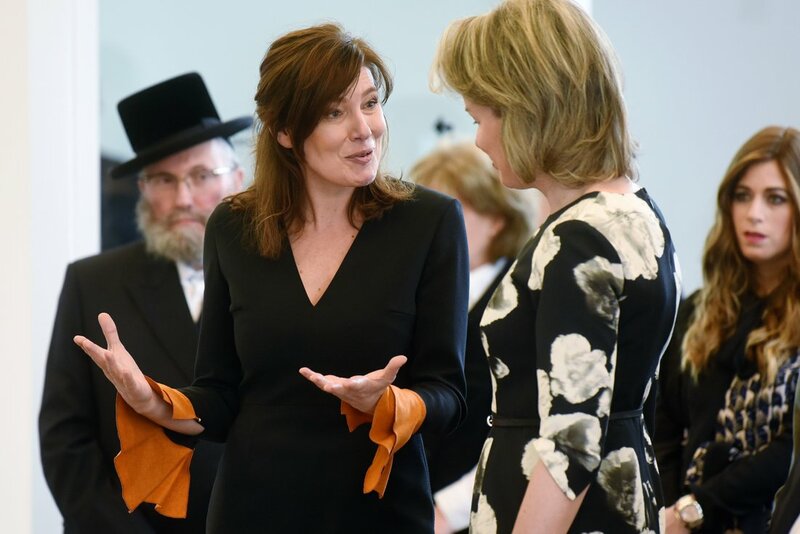 The queen also visited the exhibition "Neighbours 2018" on the daily life of the hasidic Jews of Antwerp. 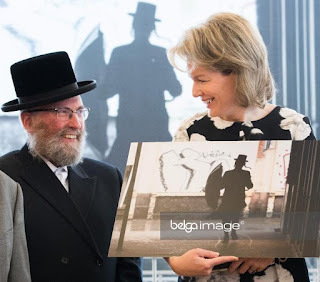 It combines photos by Dan Zollman with excerpts from one of Mathilde's favourite books: 'Mazzel Tov' by Margot Vanderstraeten. The request to be guided through the exhibition by Vanderstraeten in person came from court. 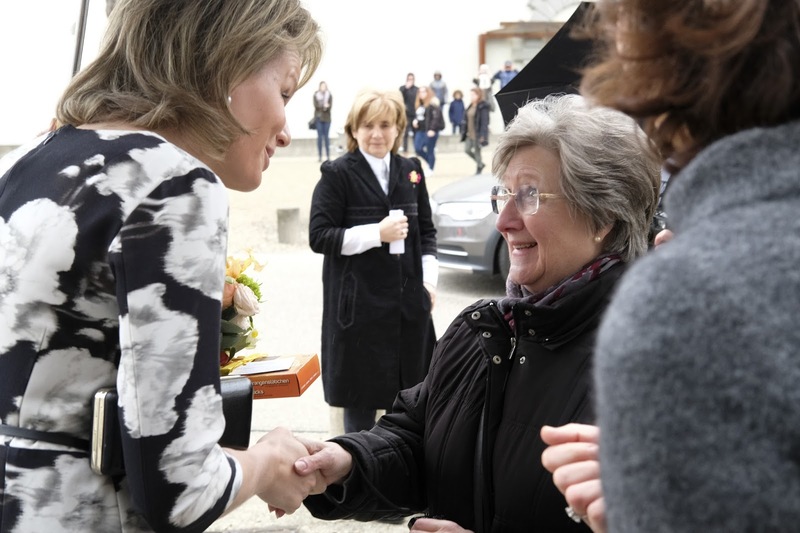 The author afterwards said Mathilde would make an excellent journalist: "She was very well prepared, asked the right questions and is an excellent listener". 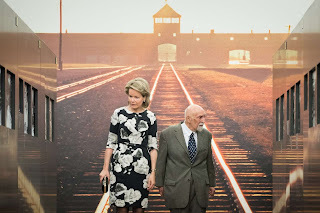 The queen stayed an hour longer than initially planned.